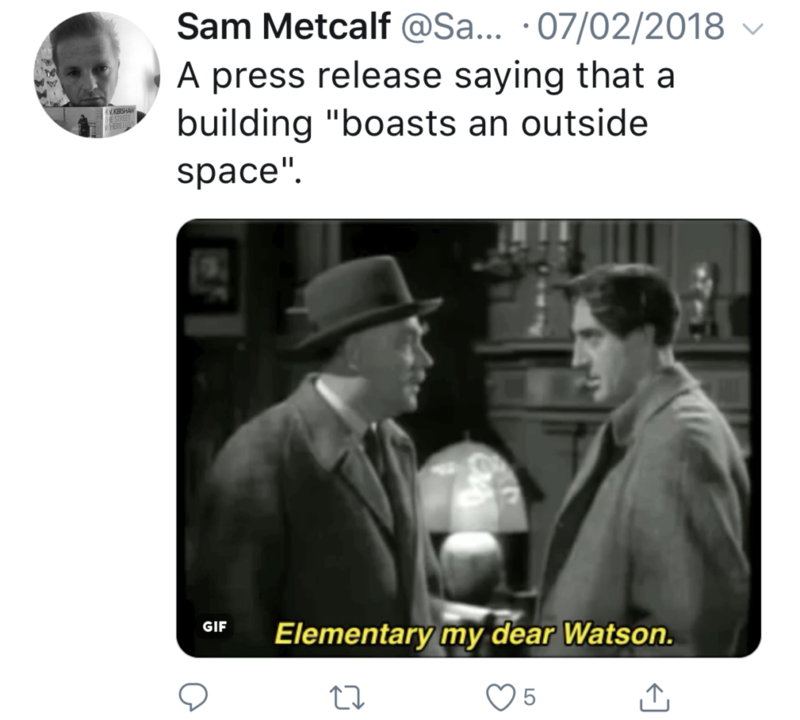 His tweets, expressing various levels of frustration at some of the news stories he receives – or the calls he gets offering editorial ideas or comment pieces – are gathering cult status. Well, they are at Octopus HQ, anyway. He won’t use the story – and then you have to the awkward conversation with a client to explain why the story wasn’t used. He’ll tweet about it – and although he doesn’t name and shame, it’s clear when he tweets that those people will know who they are. He’ll be much more likely to hit the delete button on any future stories. Here are some of the gems that Sam has come out with lately. There are companies out there who either think it’s humorous or are so far up their own arses to think that job titles such as ‘chief visionary’ cut the mustard with us lot in the real world. They don’t, so stop it. 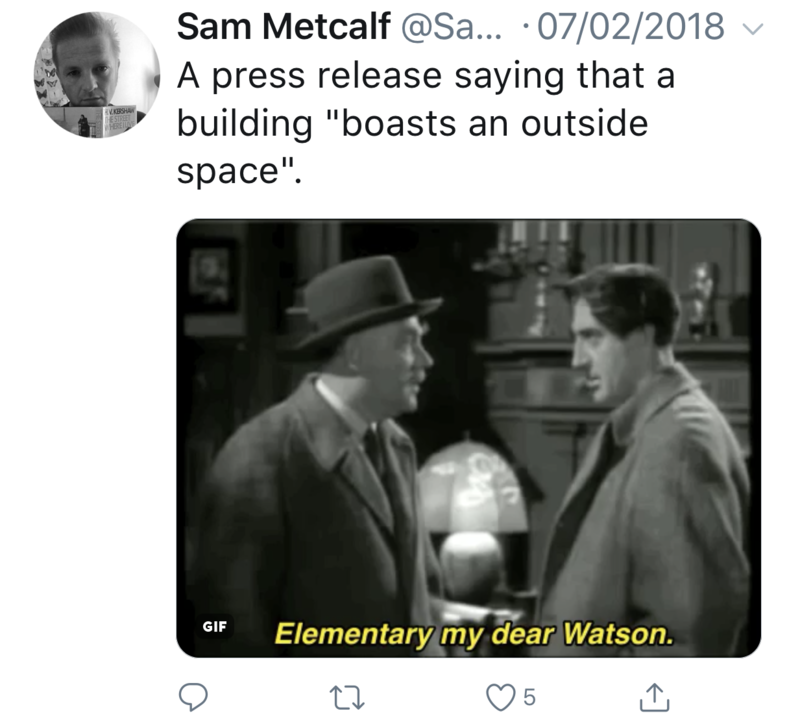 Also, I’m all for PRs trying to coin phrases that become part of our everyday lexicon, but sometimes creating these oversteps the mark – I’m in agreement that terms such as ‘wantrepreneur’ are crimes against language. 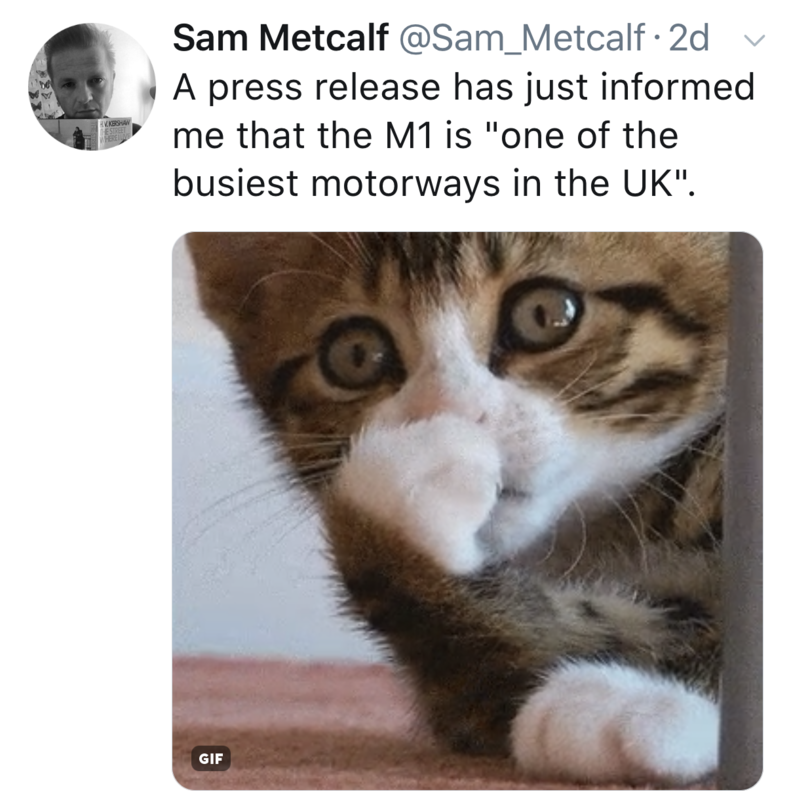 I can’t add anything to the incredulousness felt by Sam with press releases where the main thrust is that the M1 is the busiest road in the UK. This is a real ‘dog bites man’ kind of story (as opposed to ‘man bites dog’). I’m all for jumping on news story bandwagons. The trick for PRs is to know which bandwagon, and when to jump. 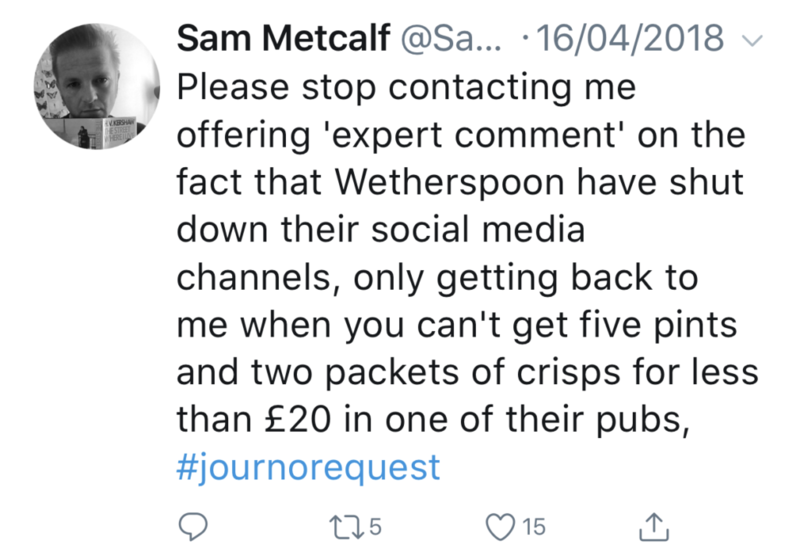 In the case of the Wetherspoon social media story, I’ll bet Sam was initially interested by the first PR willing to offer their client’s opinion on the subject. 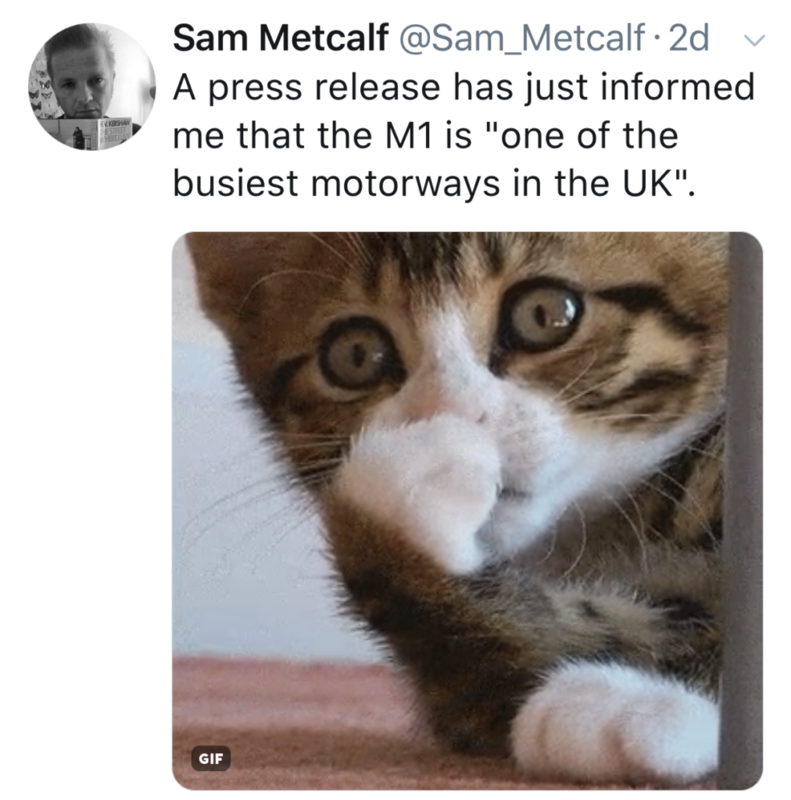 But by the time he’d had a few people offering comment, I’ll bet the bandwagon had come to a grinding halt – no doubt causing long tailbacks on the M1! 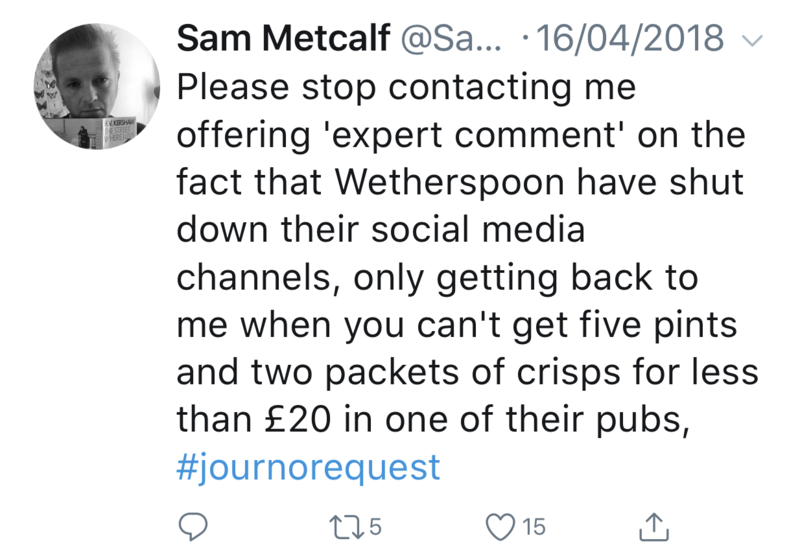 I think the term ‘life hacks’ has become pretty universal, and Sam’s tweets are a cry for help to make life easier for hacks – and therefore PRs.